Pre-registration for this food conference ended last week and we are at 50% capacity for sample tables and 70% full for classes. We have a very large room for the lunch-time buyer’s roundtable panel so I don’t see that selling out—but I would love to be surprised! Here is our homepage link to learn more about the event. We wanted to give a few weeks of pre-registration advantage to Indiana Grown to get the word out to their members since they are partners…and boy did they step up! A first-of-its-kind event, the Emerging Indiana Food Brands Forum Fall 2017 will pull together food scientists, marketing experts and retail procurement professionals from around the state to support local and regional food companies who are looking to scale up their business. 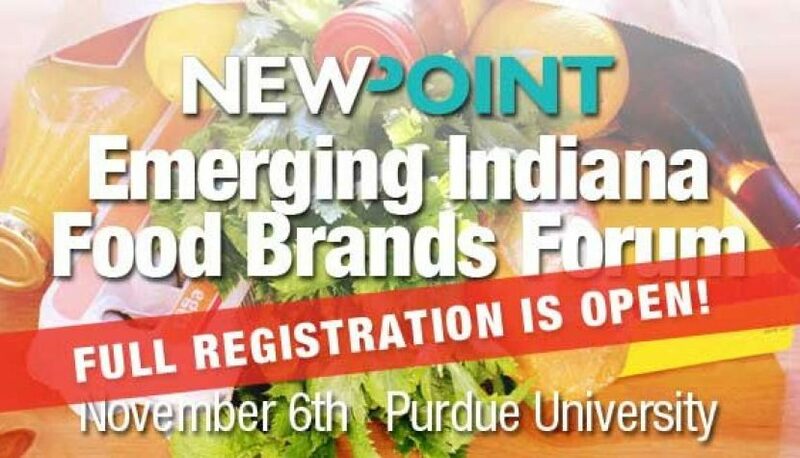 The one-day conference, presented by NewPoint Marketing in partnership with Indiana Grown and Purdue University, will be held in Stewart Hall at Purdue University on Monday, November 6, 2017. The food conference itinerary lists different events for the morning, mid-day and afternoon (see details below). Morning will feature development classes related to food safety and the commercialization process, marketing your brand, and selling to foodservice. Midday will see a “Retail Lunch ‘N Learn” Hour. The afternoon will be devoted to a Sampling/Tasting Event where vendors can showcase their product and meet potential buyers. Indiana food vendors can showcase their products and meet with buyers from local and regional retailers and distributors like the ones mentioned above, Purdue retail (30+ locations) plus Purdue Dining Catering, and more! Space is LIMITED! Register today for this food conference!